Today, many filmmakers are of the viewpoint that the future of the film industry is quite bleak and independent cinema is no less than dead. It is clearly seen that the film sector has gone through an upheaval in the past few years. Changes are seen across the various sections of film making such as production, distribution, and also the use of technology. The fluctuations in currency rates have also had a huge impact on the filmmakers. Yes, there are challenges but it would not be in the right spirit to just give up. There is always light at the end of a tunnel. So let’s take a look at some of the key problems being faced by indie filmmakers and the solution for it. Problem-With the onslaught of technology, the number of films have definitely increased but the number of buyers does not match up. Digital technology is sometimes being overused to compensate for the lack of a good script. Solution– Making a movie within the confines of a specific genre can be a possible solution. If your movie fits the specifics of a buyer or a marketing manager, they would have a very easy task visualizing the poster, trailer, and the campaign ideas. For them, buying a genre is much easier than buying a film. Problem -YouTube has become a name to reckon with in the film industry. But the journey is soon coming to an end thanks to illegal online distribution. Solution– A hybrid strategy can be used while deciding your distribution where the traditional rights to DVD/television/cinema can be combined with online distribution. 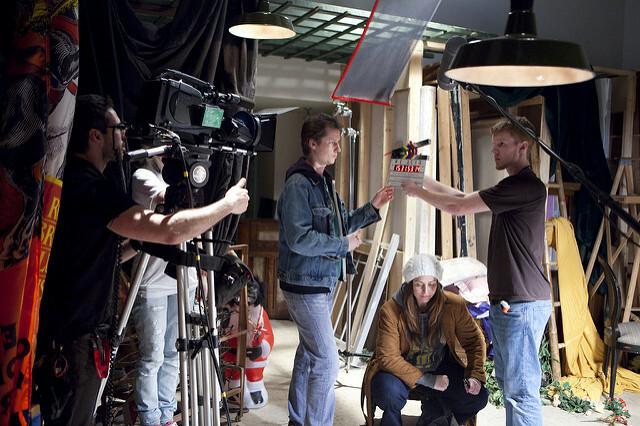 Problem– Digital technology has not only influenced filmmaking but also film distribution. A fully digitized cinema chain has been inaugurated in Britain. Today, a film can be emailed to the cinema and its schedule can be decided with the click of a mouse. Solution– If you want to ride the wheels of success, you have to travel with the time. The new formats should be incorporated by the makers into their films. Problem– The new trends in cinema point out the influence of the gaming industry. Most story telling techniques are inspired from games. Solution– A filmmaker can incorporate gaming techniques in both aspects of filmmaking- storytelling and visualization. Problem– The current dissatisfaction surrounding the European economy has seeped into the public sector, thus affecting the flow of funds. Solution– An indie film should be capable of producing returns at a cost-effective rate without the help of public funds. The road is filled with hurdles, but if you aspire to be successful, you will have to find solutions.